.... ...Its the nature which lives here and all those who visit kalimpong are the Guests of the Nature. So be one good guest. As I know Kalimpong it has stood there for years looking at the mount Kanchenjungah living by the sound of Buddhist Monastry. 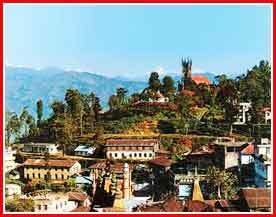 Kalimpong is a town 1250mt above the sea standing between Siliguri and Gangtok. The road to the town is lead by the awift Testa river flowing by the road to the town. 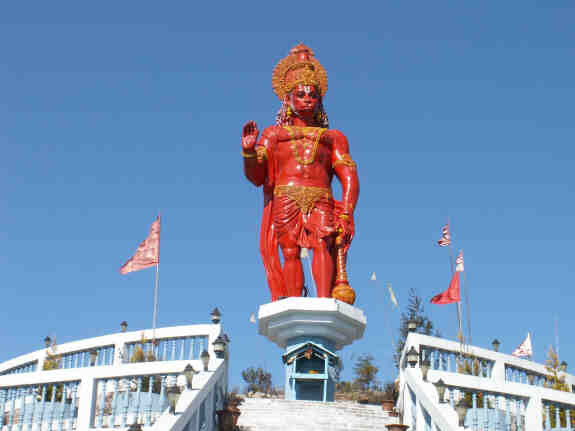 Till 18th century this small hill station was a part of the Kingdom of Sikkim - ruled by Sikkemese rulers. After which it was taken over by Bhutanese. However , in the 19th century it was taken over by the Britishers who eventually made it a part of present West Bengal Province of India. Its a sports person feista - driven by the beauty of the place it enthrills one to dive into various sports activities like trekking. 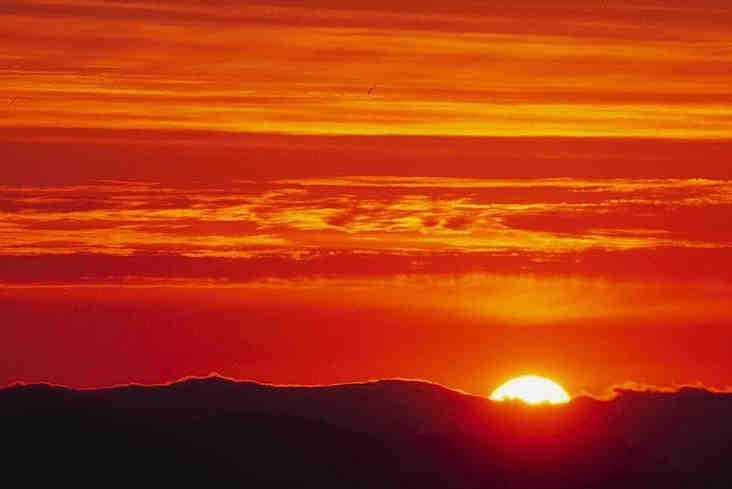 Nothing much of historial side though its hills will englove you . The breathtaking snowy peaks and the mount invite you to take up tracks. Not only this the serene beauty of the treess and the exotic flowers make you stay here for a longer time than you have thought of. The river running side by will make you sit here for long hours - giving you a feeling of being in the third world. And there is something which shouldnt go amiss - the Gompas. As you move inside the gompas the air inside and the chantings will take you in a new world - far far away from the one you are in!Then there are the nursuries, Sericulture Research Institute, Dr. Grahams Institute to brood upon. Not only this if you are shopping freak ; this is place to drop at - for kalimpong is not only known for its natural beauty but also for its shopping malls. 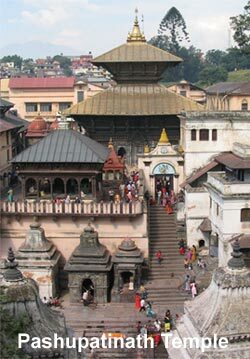 Kali Temple : The Goddess Kali so worshipped all over India has her adobe here - have time to pay her visit - no one knows what she has in store for you. Sericulture Research Institute : If you are interested in silk, silk worms and research - this is where you should go. You won't find a better place than this for your research! 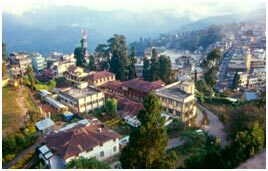 One of the most beautiful hill station Kalimpong is a beauty to visit.. It touches the feet of Mount Kanchanjenga, surrounds itself with the beauty of hills and the religiosity of the monks. Peace and serenity unveils itself in this land of hills and river. Devouring a plethore of travel tales with the fabulous photographs undoubtly will lead you an obsession with India...... thats exactly what you will hear about Kalimpong. The best way to reach Kalimpong is from Siliguri. Take the train from Calutta to Siliguri to reach Siliguri in the morning. Its by state road NH31 ; from here go to Kalimpong. My guide was waiting outside the hotel Dew Drop Villa which is 80kms away from the nearest airport Bagdogra. Its a Trodden tourist track around Kalimpong for most of it can be covered in 2- 3 days on foot. 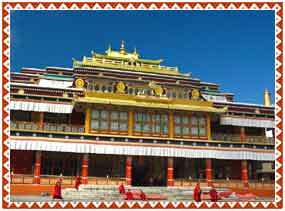 Visit the Thongsha Gompa or Bhutanese Monastry. 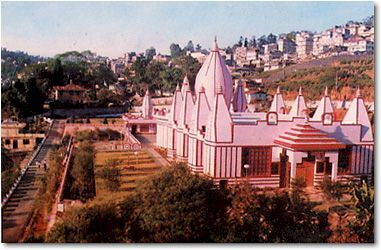 Its the oldest - built on Durpin Dara Hill in 1692 - one of the famous sightviewing hills Kalimpong. A round around the Gompa and you will feel as if you have entered a new world. The sight of the monks and the little people gave me a different feeling. It has the Kanguyar, in 108 volumes, brought by Dalai Lama when he fled Tibet. Take some photographs while watching the prayer room adorned with wall paintings. Move on to one of the famous local hotels - to try out the Fresh Momos and noodles. The momos are the best prepared here, have them to have your fill. There is more to see; move ahead to visit the Morgan House and Dr. Graham`s Home, situated less than half an hour's walk from the centre of the centre of the town. The school building and chapel with stained glass are worth a visit. Started in 1900, by Rev Dr Jihn Anderson Graham as house to educate children born of British planters and local women, its now a publi shool. The worth of visiting this old school lies in the architecture and design of the building. But that was not all - visit one of the flower nursuries - and take along the saplings with you. After all its the USP of Kalimpong. (Kalimpong produces 80 percent of India's gladioli and is also famous for orchids, cacti, amaryllis, anthuriums and roses. Don't forget to take sapling of them - you will simply love when they grow in your home gardens. Have a feel of the local life by going for Samo Roapway - a ropeway which entails hanging from a length of wire 120ft above the tumultous Teesta. You will feel your spine chilling as you sit on this single chair to cross the river Teesta (something what the locals do daily to cross the river Teesta!). Go for it and have a happy ride watching the river flow. Spend the evening at the Local Shopping Market buying embroided shawls, woodcarvings, paintings copperware and more. It a hilly area - you never know when it will rain - so do take extra clothings and woollen wear with you. Its always good to keep some snaks in hand. Try to plan for a 3-4 days trip as the weather is unpridictable and there are chances of road blockages. Airport is about 80 kms from the city(a 3hrs drive); so its usually better to take a cab from Siliguri. Take a pack of Kalimpong Lollies as they are synonymous with the town - they are also a grat treat to be gifted to children and oldies. Check out the Bhutia shop in Dambar chowk and Kalimpong Arts and crafts Co - operative if you want to buy something really exquisite. You can visit Kalimpong at any time of the year - its always rosy here. Try to avoid the JULY- AUGUST period if you want to avoid the slippery slopes. Try to get up early and start your tour as soon as possible as the city closes by 6pm in the evening. Book a hotel in advance or take a guided tour if you are an individual traveller or visiting after a long time. All kind of Chinese, Vegetarian and Non Vegetarian (Indian) food is easily avialable in the restaurants of Kalimpong. Some of the well known hotels of Kalimpong are - Silver Oaks Hotel, Kalimpong Park Hotel, The Soods Retreat and the Cloud Nine. For further information, contact us. You need to take a permit from Govt. of India for visiting Khonsa. For the permit and other necessities, contact us. Book a hotel in advance and try to take a guided tour if on a individal tour. Or ask your travel to book a hotel for you in advance. ... Right above the town is the Enchey Monastery. 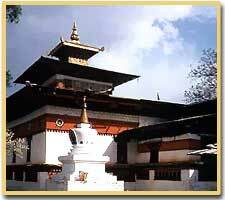 A small two storey Nyingmapa Gompa, built in the middle Ninteenth Century is blessed by the Tantrik Master Druptob Karpo, who is still renowned for his capability to fly. Enchey Monastery holds the famous annual Mask Dance or Chaam done by the local Lamas. The walk down the Echney Monastery leads to Flower Show ... .. 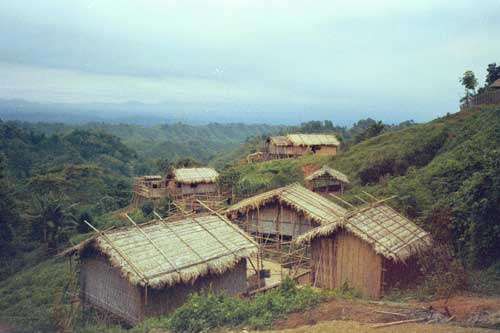 I went through the place Assam, wow!! this place is really the best I have ever visited my entire life the exotic location and the surrounding made me feel for sometime that I have viewed the heaven morning hours before the sun rises, in the chilling winter morning you can feel your hands get froze and you start saying ooze ooze! Don't you? I would suggest a visit to this beautiful city to any traveler not only because of the beautiful landscape but also because of the hospitable nature of the people here. The hospitality of the people was so avid once I reached Gangtok. And then there were so many places to see in Gangtok like the Nathu La Pass, Tosmgo Lake and the Mountanieering Institiute.